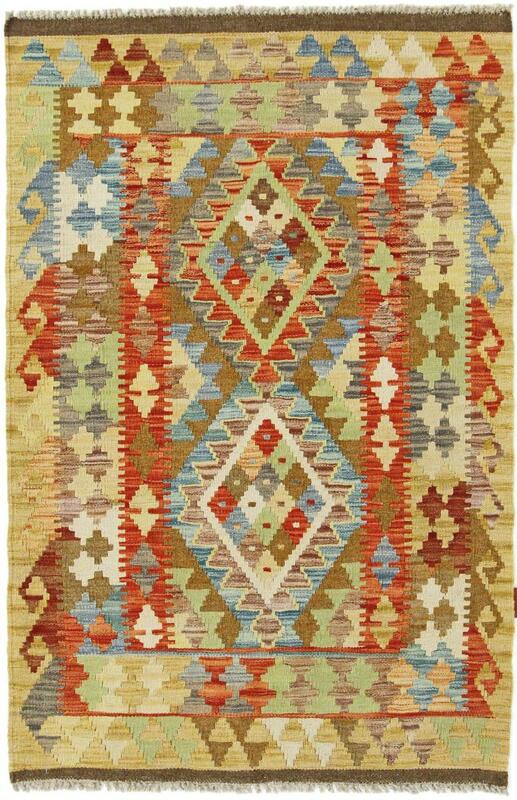 Originally, the roots of the kilim rug go back to the nomadic people of the Middle East. They served and still serve the nomads not necessarily as rugs, but rather as blankets, saddle blankets, seat mats or wall decorations. It is believed that the first carpets in history, several hundred years before Christ, corresponded in many ways to today's kilim carpets. Since the original kilims are hand-woven, they also have a very important difference to knotted carpets. Knotting techniques have presumably only evolved from weaving techniques. Nowadays, kilims mostly originate from southern Iran or Afghanistan. 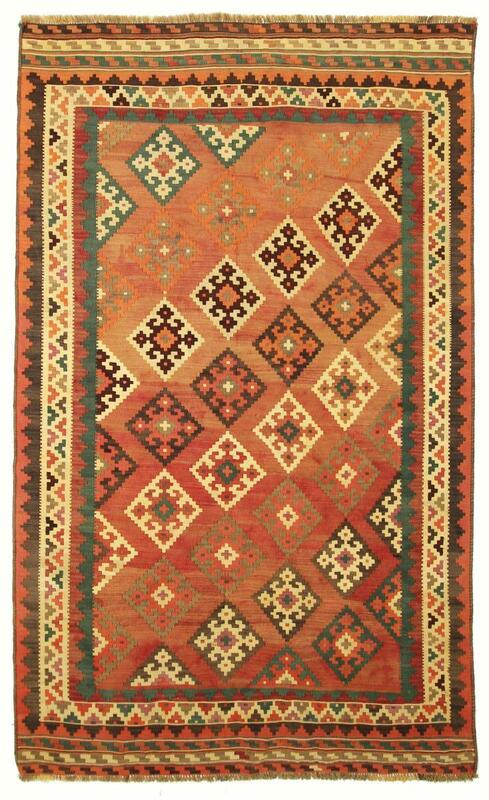 Kilims are so-called flatweaves and look almost identical from the top and bottom. They can thus be used on both sides, which is a great advantage over other types of carpet. They also have very distinctive patterns and designs. Thanks to the weaving technique with warp and weft, the patterns are linear and geometric. When the design elements are pulled apart, small holes are visible between them, which also result from the weaving technique. Typical are strong Colours that are extracted from plants and minerals like Persian carpets. Thus, original kilims from the Middle East are 100% natural products. There are very robust and rather thick kilims, which can be placed without problems in much frequented rooms. Thinner variants often require an anti-slip underlay, but can also be transported quickly and easily and, for example, laid out for a picnic in the garden in summer. Thanks to the colours and motifs, connoisseurs can determine the origin of a kilim, not only that of the country, but also that of the nomadic tribe. These flatweaves also have antique pieces that are at least 80 years old. The exact age However, it is very difficult to determine and is also a challenge for experts. On the left side, for example, you can see a Kilim Fars from the south of Iran. Kilim Fars carpets usually resemble the typical appearance of Persian rugs, because they have the same origin. 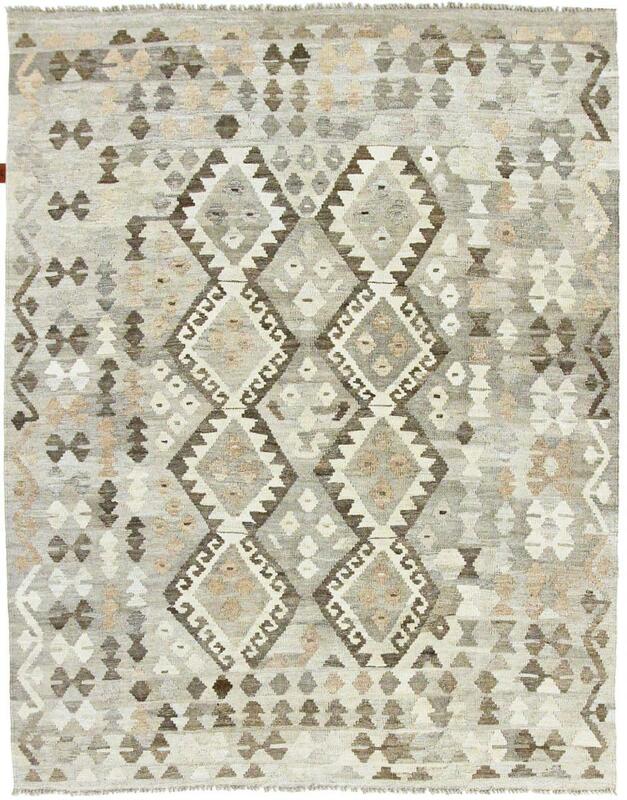 These rugs have been provided from an assortment of over 3.700 different Kilim rugs by Nain Trading from Hamburg. Hamburg, Germany is still the most important hub for the trade of oriental rugs in the Western World with Nain Trading offering one of the largest assortments of handmade oriental carpets worldwide. Location - where do Kilims come from? Hand-woven Kilims come from various oriental countries. The most important countries today are Afghanistan, Iran and Turkey.